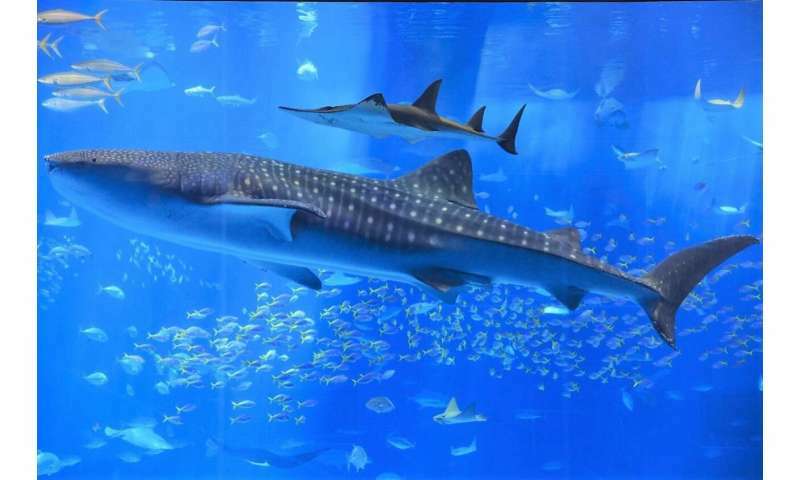 Whale sharks, like this individual at the Okinawa Churaumi Aquarium, are the world's largest species of fish, growing to 10 to 12 meters in length. Despite their large size and threatened status, whale shark ecology remains mysterious. 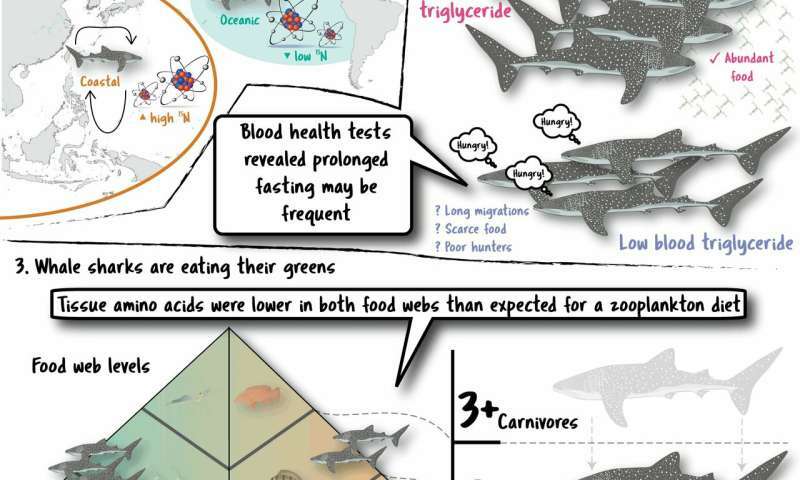 A University of Tokyo research team led by Alex Wyatt, a project researcher at the Atmosphere and Ocean Research Institute, created a blood test and tissue isotope analysis health check to better understand the animals. Credit: K. Sato, Okinawa Churashima Foundation Research Center CC-BY-NC-ND. A research team from the University of Tokyo developed a powerful, simple tool to discover the diets, migrations, and conservation needs of whale sharks, the world's largest fish and an endangered species. Credit: Alex Wyatt CC-BY-NC-SA. Did red tide kill a 26-foot long whale shark in Florida?